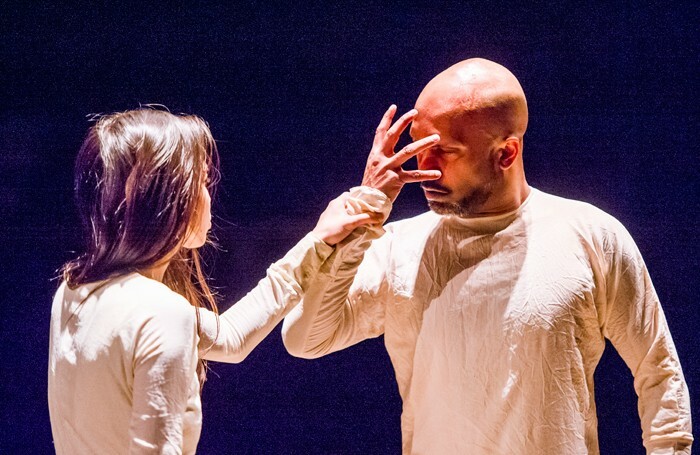 Akram Khan has announced he is to retire as from performing in full-length dance pieces after his next production at Sadler’s Wells. The dancer and choreographer, who is an associate artist at the London dance venue, will perform in Xenos early next year, marking his final performance as a dancer in a full-length piece. Commissioned by 14-18 Now, the UK’s arts programme for the First World War, Xenos has been developed from a text by playwright Jordan Tannahill and draws on the story of a shell-shocked Indian soldier, told through the lens of the myth of Prometheus. The piece has dramaturgy by Ruth Little, design by Mirella Weingarten, lighting by Michael Hulls and costumes by Kimie Nakano. Music will be by Vincenzo Lamagna. It will run at Sadler’s Wells from May 29 to June 9, following a tour to Greece, Australia, Germany and Austria. Sadler’s Wells’ spring season also include the 15th anniversaries of the Flamenco Festival and hip-hop festival Breakin’ Convention, as well as Tanztheater Wuppertal Pina Bausch’s Viktor and a triple bill of works by female choreographers Sharon Eyal, Emily Molnar and Cystal Pite. English National Ballet, Sadler’s Wells’ associate company, also presents a mixed bill including the world premiere of a new work created for the company by William Forsythe.